Become a Sponsor of ASA! Do you or someone you know own a local business and want to help support Arundel Soccer Association? Become a sponsor of our in house rec program by becomming a Jersey or Field Sign Sponsor! Your donation is tax deductible and goes to support the purchase of team jerseys and other club equipment. 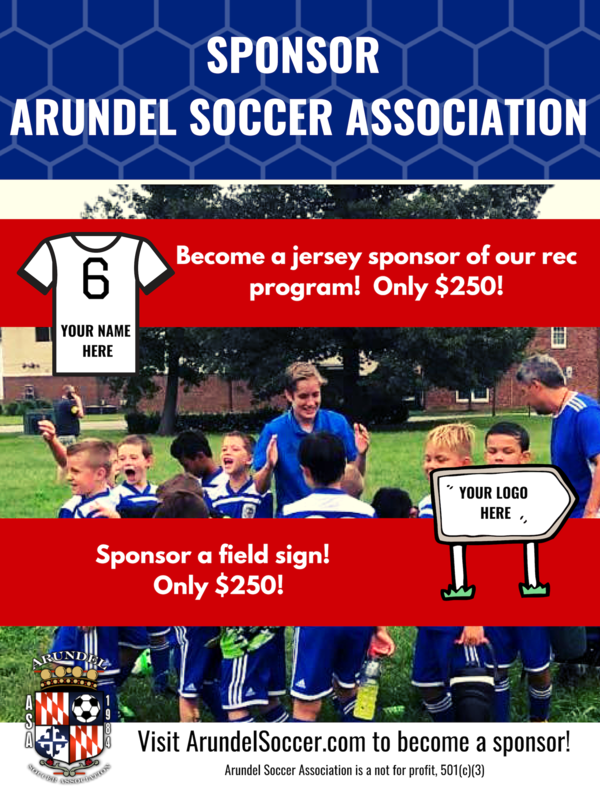 CLICK HERE to begin the process to become an ASA sponsor or contact ArundelSoccer@SoccerOffice.com for more information!